Want to help raise money for your child's school, but aren't sure how to work it into your budget? Are you a school parent volunteer looking for ways to raise money that your fellow school parents can manage? Several corporations now offer give-back or rewards programs that donate back a percentage of sales made to programs chosen by the purchaser. These programs are known as passive fundraisers. Passive fundraisers often only require a shopper to register and designate what school or non-profit organization they would like to support. They do not cost any extra money on behalf of the purchaser. For many of these, smaller amounts of money trickle in on a regular basis. Rather than one big influx of funds from an event style fundraiser, passive fundraisers create small streams over the course of the school year. Amazon Smile! is similar to e-scrip in that you go to the website and designate what organization you would like a percentage of your sales to go to. After registering, simply begin your Amazon shopping from the amazon.smile.com URL for a percentage of sales from eligible items to go to your chosen nonprofit. Box Tops for Education is the passive school fundraising program for General Mills and related products. Several products from General Mills, Glad, Kraft, Hanes and other brands have a Box top symbol that parents collect and then submit to their designated school box top volunteer. A designated volunteer coordinator from your child's school then mails in the box tops. Each box top is worth 10 cents. Twice a year Box Tops for Education mails out checks redeeming the cash for mailed in box tops to schools who send in box tops. The wide variety of products makes it easy for families to collect box tops from the products they would already purchase. Tyson chicken has started an education fundraising program similar to the label programs above. Several Tyson chicken products now have a special label that can be clipped, given to a designated school volunteer, and redeemed for 24 cents each. Parents can also sign up for email offers at the Tyson Project A+ website. Some grocery retailers have decided that their customers should decide which nonprofits should receive the companies annual donations to non-profits. Schools along with their PTA/PTO's that are registered 501(c) 3 corporations can participate by registering with the Rewards program. 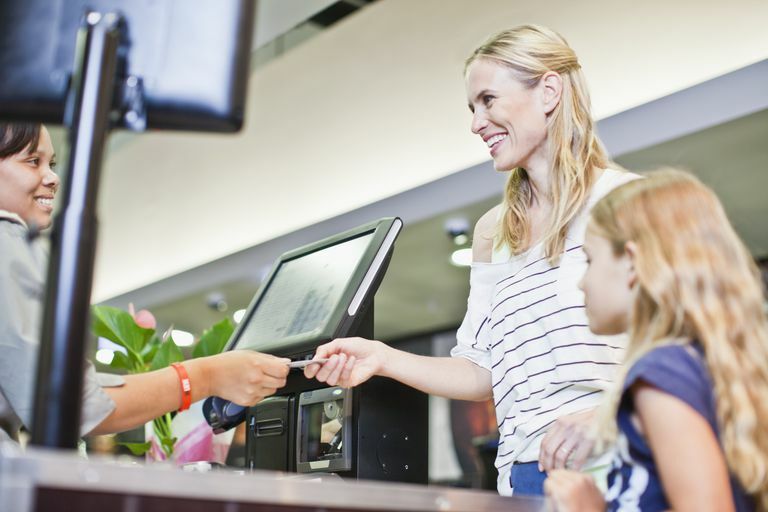 Once registered, individual shoppers can connect their rewards card to their chosen nonprofit. The details of these programs can vary between different grocery chains. There are different minimums and payout times. Still almost everyone purchases groceries so this can be a great way for families and school supporters to passively support their school. You can also ask at your local grocery store if they have a rewards program that benefits charities and schools. Shoparoo is a free smartphone app that school supporters can install on their phones. Supporters first designate which participating schools they will be supporting. Supporters then upload photos of their grocery shopping receipts. If you shop for school supplies at Office Depot/Office Max, your school may be able to get a supply credit. 5% of the purchase price of qualifying school supplies can be credited to a local school when the purchaser gives the school's participation code at the time of purchase. In other words, buying certain supplies at Office Depot/Office Max can get a school of your choice needed supplies. A number of restaurants have special fundraising days. On these days, a portion of proceeds from the day's sales is donated to the sponsored School or school organization. Some businesses offering this type of fundraiser include Red Robin, McDonald's and Panera Bread. Check with locally owned eateries, as this is a common practice for restaurants throughout the nation. Each business or store will have their own guidelines for these fundraisers percentage of profits donated, days available, and whether or not the volunteer organization will also supply workers during the fundraising time varies. If your group is interested in hosting such a fundraiser, start with contacting the restaurant you are interested in partnering with. If you are a school parent volunteer seeking ways to increase funding for your child's school or extracurricular programs, you can use the above links to find out how to sign your school up for these fundraisers. Be sure you are familiar with your local and state guidelines to be sure these fundraisers comply with local rules and guidelines. ***Update Note*** Labels for Education program ended on August 1, 2017. Previous versions of this article included the Labels for Education from Campbell's soup. The last day to redeem labels was May 31, 2018. What Questions Should Parents Ask About the School Bus Ride?